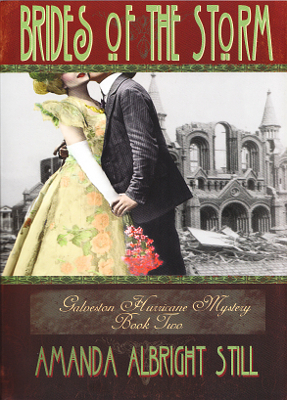 Description: One bride died a year before the wedding, drowned in the waters of the Great Galveston Hurricane of 1900. One fell in love and expects a quiet wedding and a peaceful life. They are both surprised when the confused groom is suspected of a brutal murder. The gruesome death of a local prostitute occurred just after the "dead" wife returned to town. Are the two events connected? Dash, a female attorney, must find out the truth to bring peace to her own home as her adopted daughters are now torn between their love for her and suspicion that their original mother did not die in the storm, but might return. As Dash hunts a killer, she finds the dead are more help than the living in this dangerous pursuit. Viewed: 3,565 times since June 4, 2013.